Looking for a professional Property Manager to rent your property? You’re in the right place! 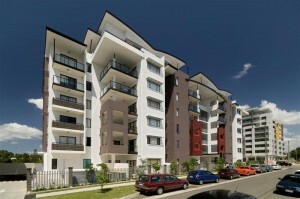 Real Property Management is Chermside’s leading provider of Rental Property Management services! At Real Property Management Australia we provide comprehensive, reliable, and trustworthy Chermside Property Management Services at below market rates. When you have an investment property, you want the finest in property management to protect your investment. Whether you are a single property owner or own a portfolio of Investment properties, we’ll effectively manage properties that include single-family homes, apartments, duplexes and townhouses. Our Chermside Residential property management company has many years of experience in property management processes to consistently meet our customers’ expectations while saving them time and money. We utilize proprietary systems to manage the entire process to ensure the highest probability of success in all facets of managing your asset. Our full-service property management services include maintenance, accounting, legal compliance, marketing, leasing, collections/evictions, inspections, and more. Please contact us to discuss your individual needs and discover why Real Property Management Chermside is the leader among residential property management companies in Brisbane. Located about a 12km drive north of the Brisbane CBD, Chermside is a well-established Brisbane suburb and is known for several local landmarks including the Prince Charles Hospital and Holy Spirit Northside Private Hospital, Westfield Chermside and the very popular Kedron-Wavell Services club. While the suburb still has many weatherboard homes constructed during the 1950s and 1960s, many higher density developments have been constructed in recent years. Unit and townhouse sales now make up over 60 per cent of residential sales in the suburb each year. Chermside residents have witnessed a renewal phase in the suburb’s lifecycle assisted by the development of retail shopping facilities along Gympie Road and the relocation of the Australian Taxation Office as well as the development of the Northern Busway. Westfield Chermside, the largest suburban shopping centre in Queensland, is the major retail anchor for all the surrounding suburbs and is the location of the major Busway station. With the development of the Northern Busway, Chermside is set to become Brisbane’s next satellite city. Residents are well serviced by a variety of restaurants, retail businesses and leisure facilities such as the Chermside aquatic centre and a number of schools. Investor activity is high in the area with a high proportion of rental dwellings in the suburb and healthy rental yields. 2007 and 2009 in particular saw higher than usual sales numbers in the unit market with the release of a number of new developments. 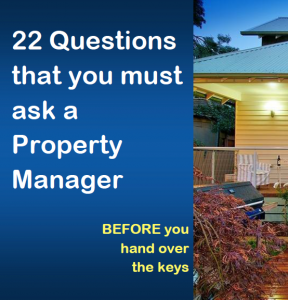 Real Property Management Australia are Chermside Property Management specialists.